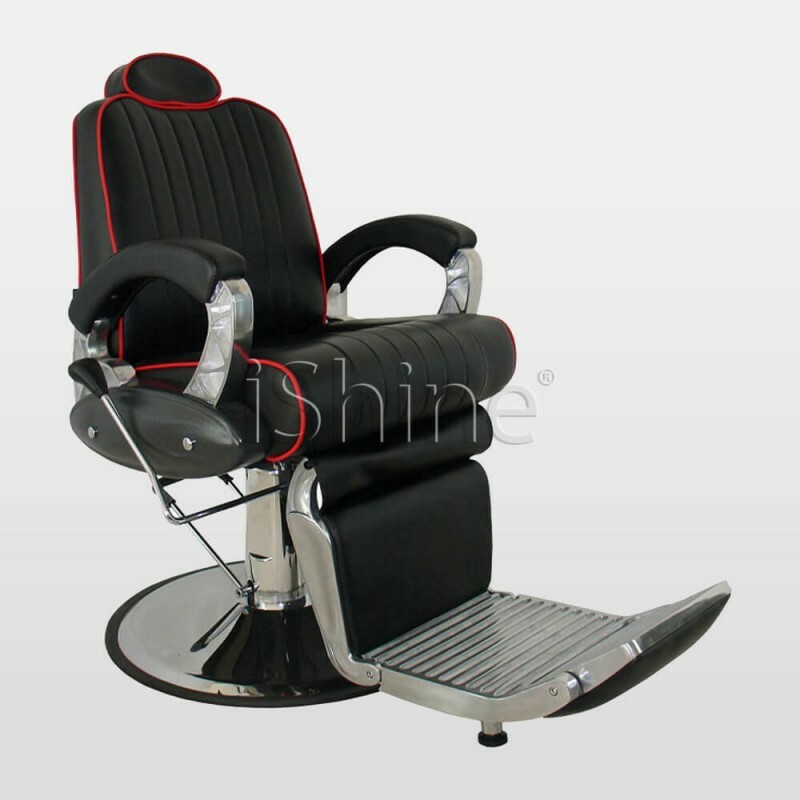 Andric is a hydraulic system barber chair which provides exceptional comfort and convenience. This chair has been produced using premium grade fabric and features an extendable footrest, a pre-attached headrest and comfortable arm rest. Andric has a strong base with sturdy hydraulic levers which is supported by a hi-end aluminium framework. It is finished by black with red lining to compelemt your decorum.